Do you want to see a street where houses are so small that they fit more to dwarfs than to people? 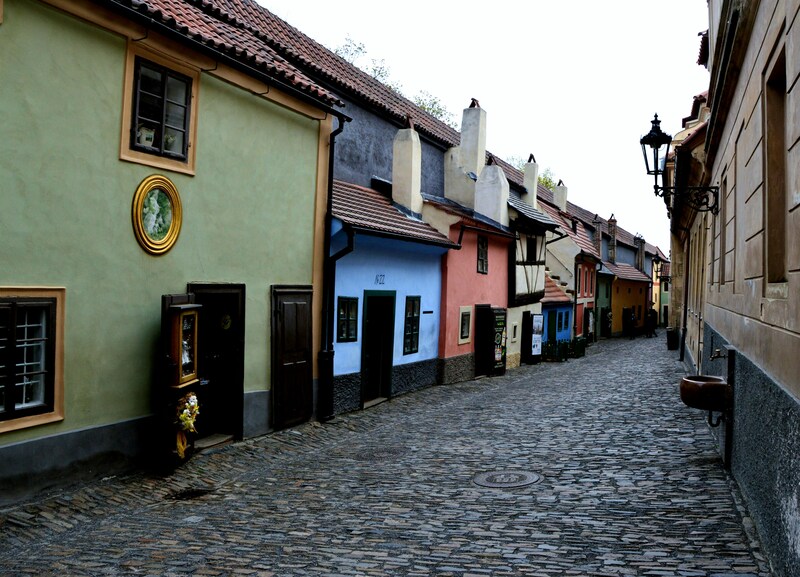 The Golden Lane is a row of miniature houses glued literally to the walls of the Prague Castle. They are coloured and the origin of some of them goes back to the 16 th century. The renowned writer Franz Kafka lived in the Golden Lane Prague for some time.